As a result of a critical need for medical services for the poor families in La Villa, "Samuel" Medical Clinic was founded in August 2015, attending the seniors and children from Linaje Escogido’s feeding centers. An average of 350 people are currently attended monthly. The Medical Clinic is coordinated by Dr. Gisela Hernandez, who together with her husband Noe, also serve as two of the Church’s Pastors. In the clinic, Gisela is assisted by a nurse and laboratory technicians. 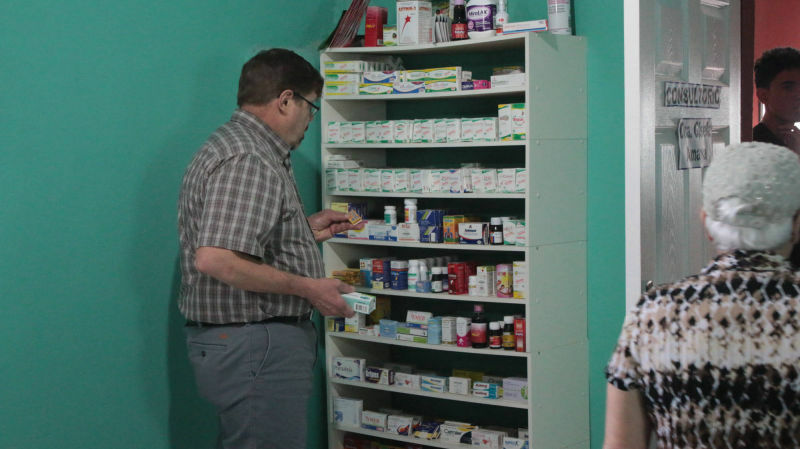 Activities have expanded to now include a pharmacy and a medical laboratory. Services in the clinic are free of charge for the seniors and children of the Linaje Escogido feeding centers and other extremely impoverished families. For the remainder of the community a small donation is requested to help with operating costs. In addition, periodic medical brigades are held in La Villa and neighboring communities, with support from partners such as Amazing Comfort Ministries, to reach more people. The Samuel Medical Clinic is a testimony to the Lord’s faithfulness and a dream come true for La Villa. Many needy people are being reached but our goal is to expand services. For that, we need a larger locale, preferably to be purchased. Additional medical equipment is also needed. For example, Gisela is currently specializing in the areas of cytology and ultrasound, and these services are planned to be established in “Samuel” Medical Clinic, which will require specialized equipment. We kindly request your support through prayers and donations.